Author Tam Rodwell published his first book in 2016. He needed a place on the web where people could find the book and also read more of his daily adventures with his kids. 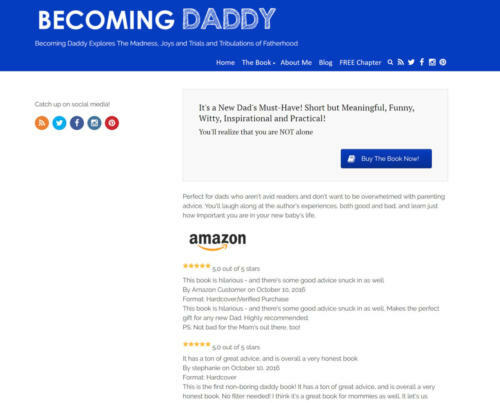 The Becoming Daddy website is a placeholder of sorts and serves to keep the book alive on the web.